This is Matt and Gayle Boyd, and a wonderful support cast made up of Hosanna, Thea, and Ezra. If you want to see how God completely upends lives, turns them inside out, shakes off the unnecessary stuff, and puts them on a path profitable for His Kingdom, then follow these links to their sites. Sometimes God blesses us by surprise. That’s how I describe our meeting the Boyd family. We were searching for a place to worship; a church-home designed just for us. With checklist in hand and essential qualities in mind, we began our evaluation process. A/C Settings A- …but I reserve the right to modify this grade come summer. Working down the list, it seemed we may have found a place acceptable to us… well, after we talk to the pastor about parking spaces. Yes, I’m exaggerating. But not nearly as much as I would like to think. 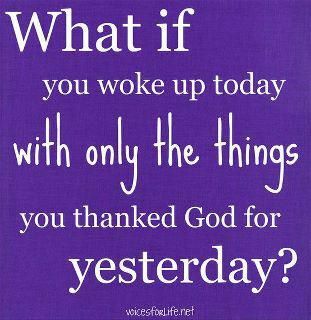 Sometimes God’s blessings aren’t surprises at all. Sometimes, they’re what we take for granted everyday. Living in a nation where luxuries are commonplace, we tend to allow ourselves to become blinded to reality. David Platt, in his book “Radical,” puts this in perspective by explaining that the larger percentage of our world survives each day on less than we will spend on an order of fries. Enter… the Boyd family. We were privileged to meet the Boyd’s, but only allowed to physically fellowship with them for a brief period of time. It was just the right amount of time. Don’t misunderstand me, if it were my choice, we would continue to fellowship under the roof of Lighthouse Baptist with Matt, Gayle, and the kids, until the Lord calls us home. 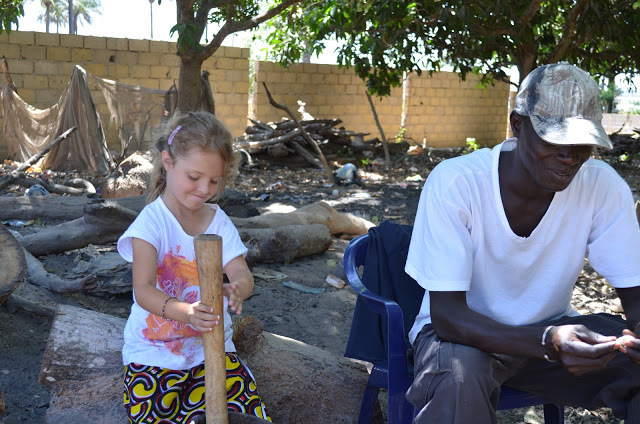 It was the right amount of time because God instructed them to “go.” “Go… to a people who have needs.” Matt and Gayle have been called to serve Jesus and the people of Senegal. And while physical poverty is very visible there, spiritual poverty overwhelms the land in cataclysmic proportion. They will carry the desperately needed Gospel of Jesus Christ to Senegal. And we are blessed. I recently read a quote that describes our opportunity for blessing excellently. “We are not all called to go, but we are all called to support the goers who are going.” Because God saw fit to bless my family by introducing us to the Boyd family and their ministry, we can now play a very small role in the work He intends to accomplish in a world that we otherwise would never have known existed. 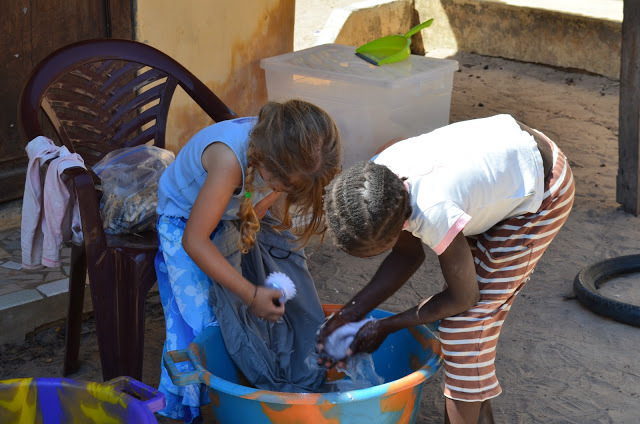 Here’s a short film about their ministry to Senegal. Recently, we spent the day in a village called Karongue. Karongue is about 12 kilometers away from Diouloulou and Keba, one of the believers from Diouloulou, has family that lives there. We spent the day meeting new friends, talking with the chief and his family, praying for people, and visiting the small elementary school in the village. 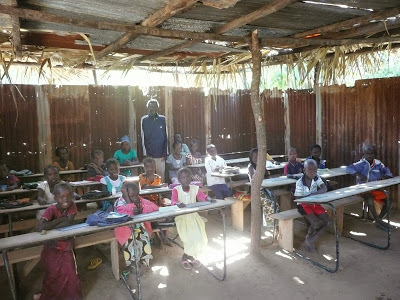 We did this with the goal of one day soon being able to start a regular Bible study in the village that is lead and facilitated by a believer from Diouloulou, namely Keba. During our visit there we laughed, joked with the people, and talked about the things of life, but we also told them that we and our friends in America promised to pray for them and their village. And they really took this to heart. 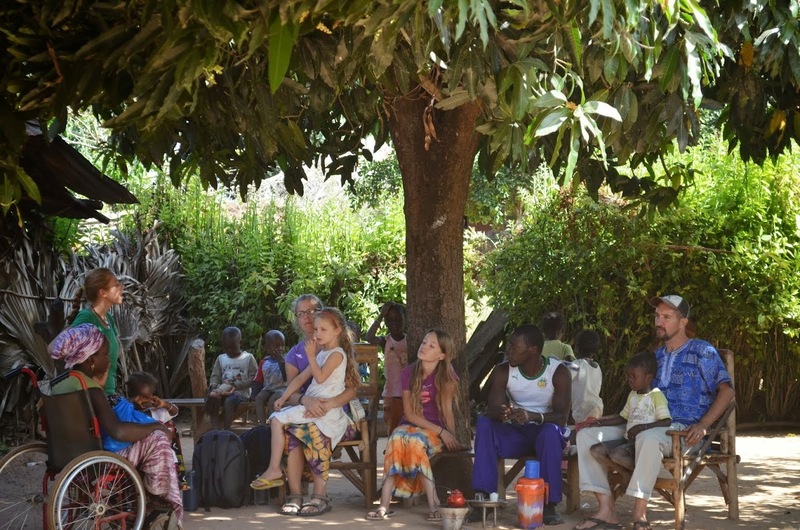 They were encouraged to know that there was a family in Diouloulou and friends in America who were promising that they would pray for their village. And now we must pray. We must pray without ceasing. We must pray with fervency and consistency. We must pray that God, by His Spirit, would be at work in the hearts and minds of the people of Karongue. Please commit to pray regularly for the people of Karongue. Commit to pray for Keba and his standing in the village and that he would have wisdom and boldness as he prepares to lead a study there in the future. And pray for us as we seek to equip the few believers who are here in Diouloulou to take the Gospel to the surrounding villages. Our family has just finished our fourth week in Dakar, the capital city of Senegal. 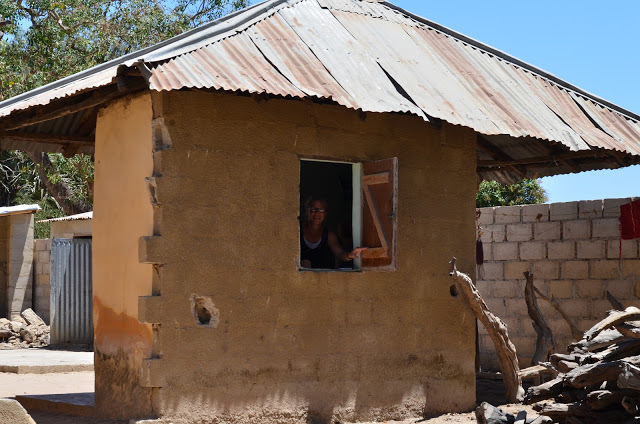 During our time here we have had new experiences, met fellow missionaries, made new friends, and seen God’s grace demonstrated anew to us each day. These were surely four blessed weeks! Tomorrow morning we will pack our truck with our belongings and head to the port to put it on the ferry bound for Ziguinchor in southern Senegal. The ferry departs tomorrow evening and we will travel over night in the Atlantic along the Senegalese coast and then take the Casamance River inland to Ziguinchor. From there we will drive in to Diouloulou and begin our new life in the village that we have loved and been praying for for over six years. 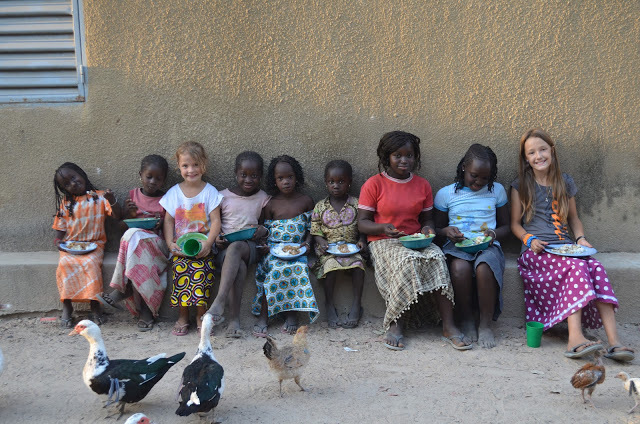 Thank you for being a part of our team and for giving, praying, and encouraging us as we serve the peoples of southern Senegal. We look forward to communicating with you soon and telling you of the great things that God accomplished as we serve in Diouloulou! As we celebrated the 4th with lots of family members and friends, I thought of Matt, Gayle, and the children. 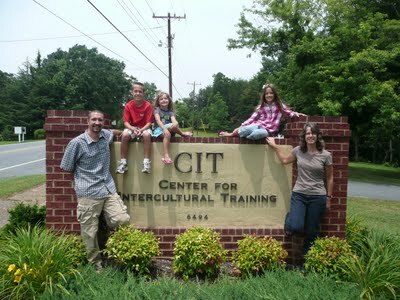 They are currently at the Center for Intercultural Training in Union Mills, North Carolina. As my “on mission page” explains, they are preparing to serve in Senegal as missionaries for Jesus. On a day when we recognize the independence of this great nation, a couple thoughts come to mind. First, our freedom is grace-given. Only through God’s grace do we have these privileges. Second, our freedom was, and is expensive. Sacrifices were made by many, and they continue to be made. But as I said, Matt and Gayle Boyd have been on my heart today. 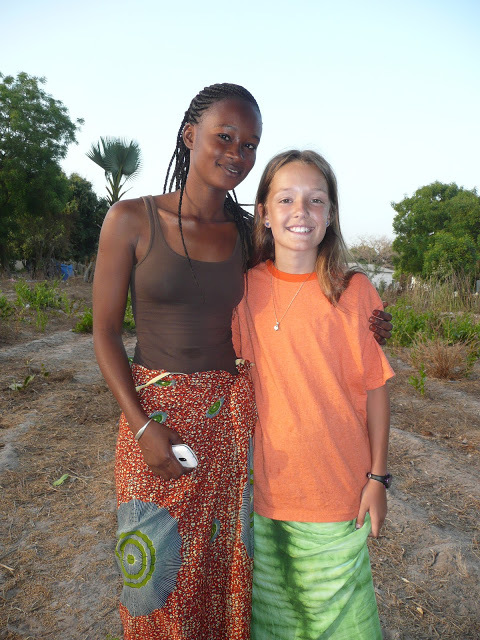 They too have made great sacrifices; for Jesus’ Kingdom; for the people of Senegal. I’ve prayed multiple times today that God would give them a comfort and peace through this day while they persevere in faithfulness. I’m making this public to the readers, to ask you to join me in praying for this family. Please pray for their strength and the needs they have in their lives. They walk a path that is completely dependent on the faithfulness of God’s people for support. To put more faces to your prayers, if you’ll follow the link to their site (found on my “on mission” page, and “home page”), you can see and read about their family and ministry. Remember, as we celebrate our nation’s independence on this day, we continually celebrate the freedom we have in Christ everyday. That freedom also comes with responsibilities. One is to defend our fellow citizens with prayer and support. Thank you likewise and we look forward to journeying with you as you write. Blessings! Your blog is very interesting. I am now following it; please consider following mine. 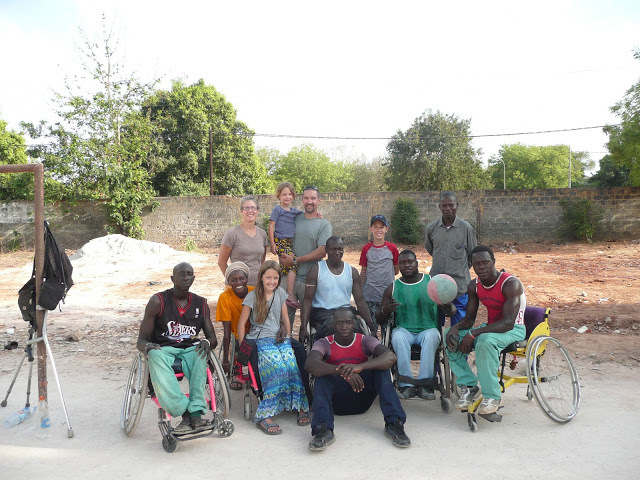 Praise The Lord for His work begun in Senegal indeed. 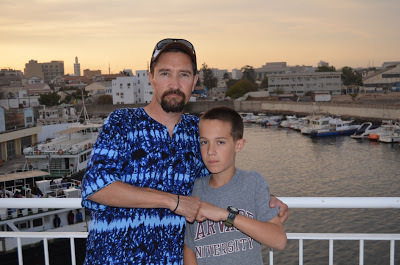 The Lord is with the Boyds in Senegal as their Savior, Lord, Commissioner, Strong Tower , Refuge and Strength. 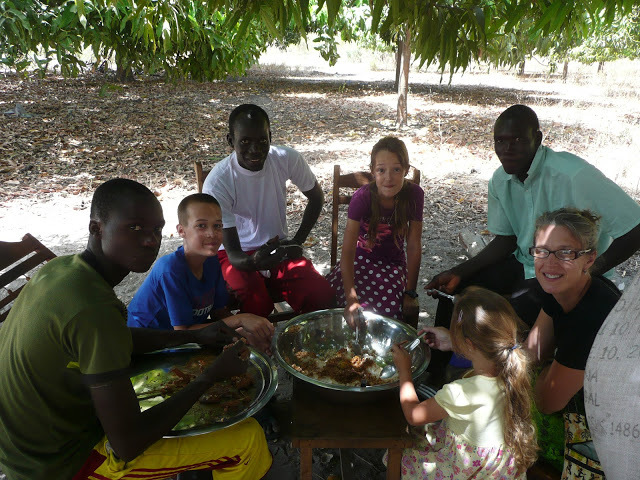 We pray for agape love, joy, grace and mercy to abound in the Boyd family and among all who hear and receive the Word in Senegal. God bless and call all those in Sengal whom Jesus died for, that they may come alive in Jesus, have their sins forgiven, and spread the Word, Jesus is alive and He reigns in every heart who will invite Him in. ChristianBlessings family is praying daily for you – the Boyd family – blest be the tie that binds our hearts in Christian love. We love you. Keep singing of Jesus and His love. May the joy of The Lord be your Strength in the days ahead! Please keep in touch as we pray and join you in sending Bibles to Africa. May His Light shine through you and in Africa, specifically, Senegal!